Post-Conversion Marketing: Why Stop When You're On a Roll? All » Content Hub Blog » Post-Conversion Marketing: Why Stop When You're On a Roll? Someone filled out your lead gen form and became a new contact in your database. Congratulations! Your job as a marketer is done. What about the opportunities that exist on the other side of the opt-in, while you’re still fresh in your contact’s mind and not an ignored nurture email several days down the road? Once you’ve acquired the visitor (either organically or through a paid channel), anything they do afterwards will cost you next to nothing. All you have to do is ask. Against all odds, they’ve made the choice to come to your site AND convert. That puts them in a better position to take another step than any other potential buyer. There’s always an opportunity to immediately engage someone in the moments after they convert. Of course, you could extend a simple thank you to your new contact before you go your separate ways, but that would waste the conversion momentum that you can leverage to generate further actions. And since you stand to lose nothing by asking at this point, the question isn't "should you", it's "how should you". Here are some ways to keep your winning streak going and get more out of every conversion opportunity. Encouraging people to share your offer within their own networks is a simple ask. Not only do you get to extend your reach, but you can pre-populate the message with your own copy to make it as easy (and effective) as possible when they share it. One way to do this is to leverage a simple confirmation pop-up to suggest further actions after someone signs up for your exclusive offer. People like to share new things with their friends and they want to be first to do it. Confirmation pop-ups are a good way to accomplish this because they're more focused, especially if you want the visitor to take only one simple, specific step. Sometimes visitors will sign up to receive something in the near future. In these cases, you can often present them with an immediate benefit to tide them over until then. You can ask them to take an action that enables them to unlock additional benefits: to be first in line, get a discount, receive VIP access, etc. The Email 1K 30-Day free course by SumoMe is a great example of marketing beyond the 'Thank You' page. Instead of simply thanking new registrants or saying “see you soon”, they offer them the opportunity to gain additional, immediate value while they wait for the course to open. By encouraging new registrants to email the course to 2 friends (who are likely to be colleagues with similar interests), at least two more potential opportunities are created with every new contact. And even though you or I could still access the benefits without "paying the price", the value is so good that you’d feel bad for not honoring it. All it costs is a few clicks, after all. Perhaps your initial offer casts a wide net. This is your chance to qualify your new contacts by offering related content that might help push them closer to a purchase decision. If you started at the top of the funnel (e.g. with a blog subscription or the download of cheat sheet), you can move down the funnel (offer them a MOFU eBook) to help you further qualify them for your product. If you know these leads are already somewhat qualified, you can offer them BOFU material (e.g. case studies or a demo of your product). Follow-up emails are a good chance to reach out to new contacts while your brand is still fresh in their mind. They’ve already opted to receive emails from you—in fact they’re probably expecting one—so you can immediately move them down the funnel. In the aftermath of a purchase, the buyer is prone to upsell and cross-sell opportunities. This is a tactic commonly leveraged in e-commerce to seize the full purchase potential of every transaction. The chance of selling to a new prospect is 5-20%, whereas an existing customer is 60-70% likely to buy. And immediately after or during the purchase process is when buying intent is already present. Instead of trying to get them on your site again at a later time, what you should do is extract the most value during that same transaction. They’re already in a “ready to buy” frame of mind—they’ve bought product A so you can offer to add product B at X% off. It doesn't cost you anything to acquire the customer because they're already there with their credit card in hand, so you have more room to play with discounts. Why stop when you're winning? Since some of these contacts might never come back to your site again, and many will even disregard your email marketing campaigns, what you do post-conversion might be your only opportunity to engage some of these new contacts ever again. You have their attention, they’ve already converted, so why not seize the opportunity to take it further? Want to create more content in less time? 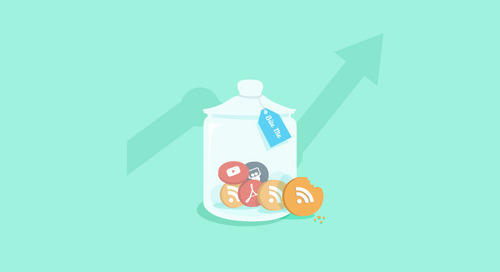 Here are 5 ways to repurpose your content into bite-sized pieces. 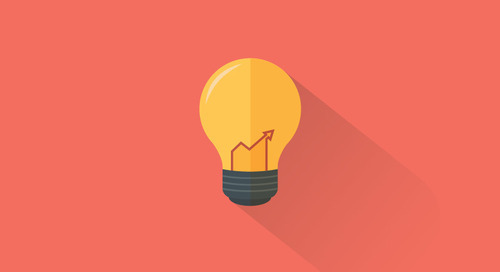 Want to generate content ideas that work, every time? Learn how to turn your data into ideas.